It's been agessss since i've last wrote about my hair! 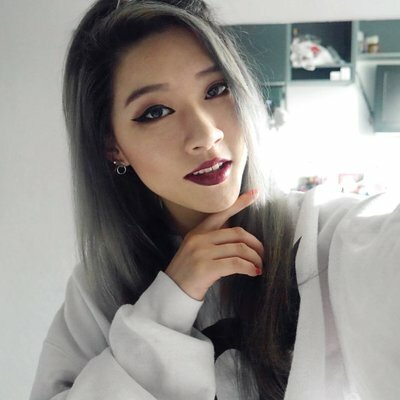 >.< As a few people requested me to do so again, I shall with my most recent hair colour (which I will be getting rid of this week lululul and no my hair will not fall off!). I died a little inside before I dyed my hair this colour because I didn't want to get rid of my pastel hair! I needed to dye it darker to get my Identity Card done. 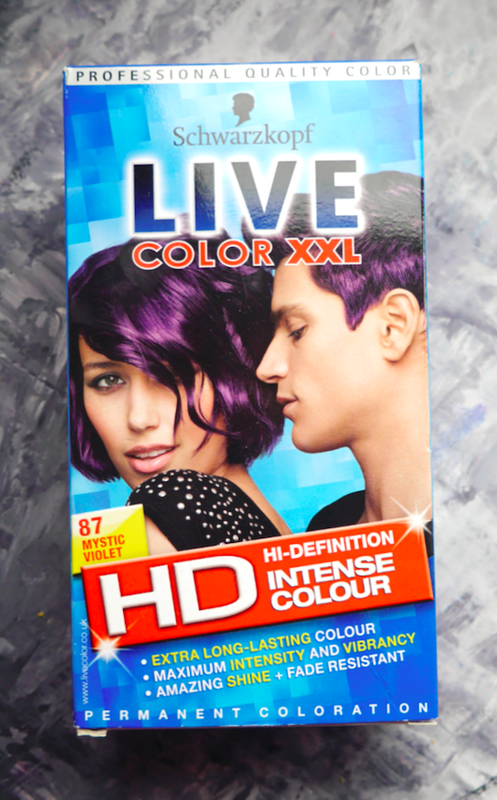 Never do I want to dye my hair back black and brown is toooo boring, so opting out for a dark purple seemed like a good choice. Dark enough for my ID, yet still gives me a pop of colour. I didn't take a photo of the box contents this time, as it's your typical usuals - developer, colour cream, after treatment, instruction leaflet and gloves. I first mixed the developer and colour cream together to form the dye and then applied it to my hair in sections. The dye is dark so it will stain your hands, be sure to wear the gloves provided or your own! The gloves provided are the really big, it won't cling onto your hands, so it may provide difficulties to people with small hands (actuallyyyyy including my average sized hands too) during application. One box was enough to cover my long, my hair has been thinned out so you may require another hair if you have thick hair. After 30 minutes, I rinsed out the hair dye and applied the after treatment. The after treatment is average, it wasn't bad but it didn't leave my hair noticeably soft either. After 30 minutes of dying. The colour matches the box perfectly! The second my hair was dried I loveeeedddd it and couldn't stop staring at it for a few minutes. Got to appreciate the beautiful vivid colour you know! 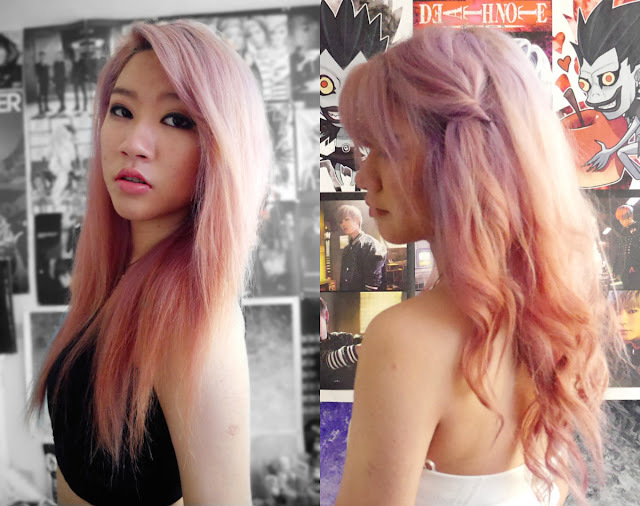 It makes me look more approachable now lolol - some people were intimidated by my pastel pink hair before .___. (sorrryyyyy - trust me i'm actually nice and don't bite! 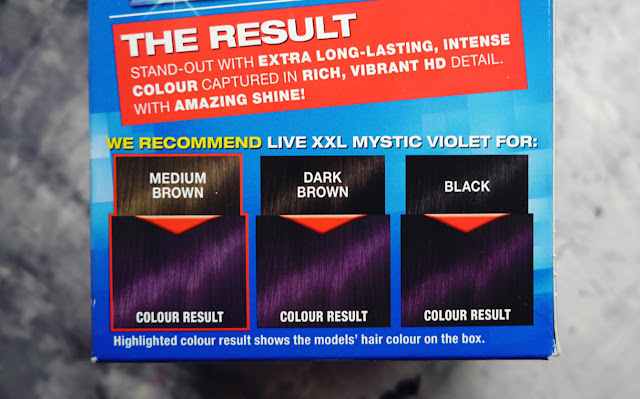 Maybe ^.<) I found Mystic Violet lasted longer than the other colours i've tried from the Live Colour XXL range. The dye made my hair look healthier and shinier so kudos to this dye! oooo you look so beautifull! but thats weird you had to dye your hair darker for your ID card :/ i'm blonde in mine hahaha! omg im loving the colour!! How long did it last though? 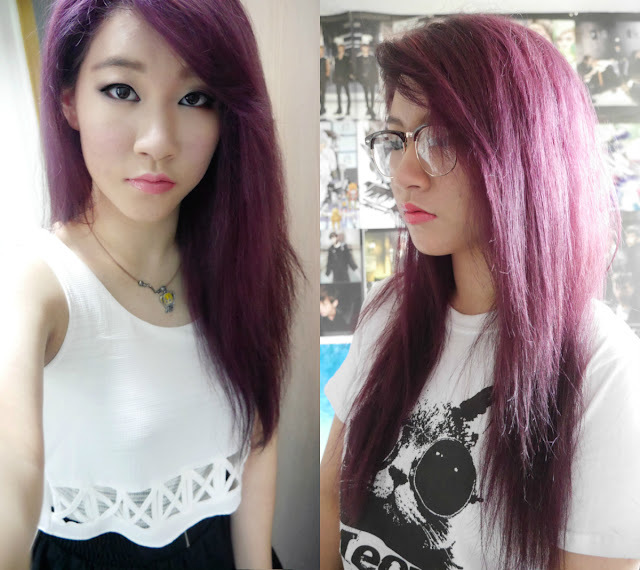 Like did it fade like most purple dyes?